The internationally bestselling YA world-slip fantasy from Katie M. John, which fans of Sarah J. Maas, C.J Redwine and K.F Breene will adore. **WINNER of The Kindle Book Review Reviewer's Choice Award 2013. 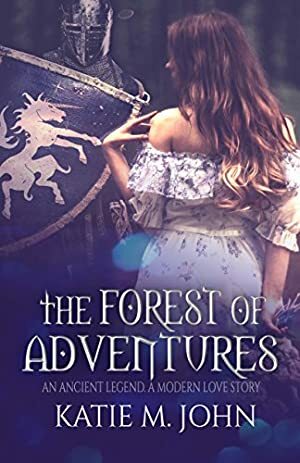 The further she ventures into the forest to discover more about Blake's true identity, the deeper she is pulled into a world she thought only existed in fairy tales. A world where magic and evil still co-exist, and where a terrible game of hearts with Morgan Le Fay is about to begin. This book was £0.86 when we started tracking it. The price of this book has changed 23 times in the past 2,694 days. The current price of this book is FREE last checked 3 hours ago. The highest price to date was £3.08 last reached on April 21, 2012. This book has been £3.08 one time since we started tracking it. We last verified the price of this book about 3 hours ago. At that time, the price was £0.00. This price is subject to change. The price displayed on the Amazon.co.uk website at the time of purchase is the price you will pay for this book. Please confirm the price before making any purchases.